facts about Australia’s remarkable kangaroos. 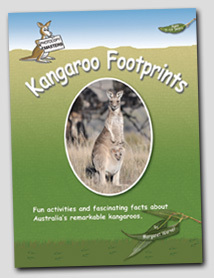 75 pages of information and activities for students age 7 to 12. Every double page has an information page and an activity page. All pages are photocopy masters for teachers to use with HSIE /SOSE units and include cross curriculum activities. 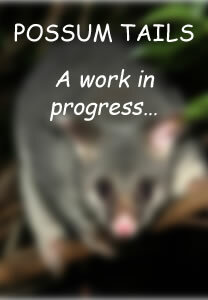 This is a not-for-profit project to educate and raise awareness about Australia's unique wildlife. Money from book sales is used to print more books. Leave order details: quantity of books, delivery address and preferred method of payment. 20% discount if ordering 2 or more books with free postage in Australia. An acclaimed film by Jan Aldenhoven & Glen Carruthers. in a remote valley of magical beauty. Behind every face is a personality. 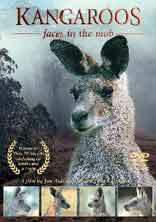 Follow the destinies of two lovable young joeys - a female called Sunshade and a little male called Jaffa. Witness everything from birth to the dramatic boxing matches between males. Suitable for all ages, this beautiful exposé of Australia's most famous animal will captivate and enthral you from beginning to end. Popular at home, in schools, with wildlife carers and with tourists and as a gift to send overseas. Available as a multi-language DVD in PAL or NTSC, Region Free for playing anywhere in the world. Price A$29.95 postage free in Australia.